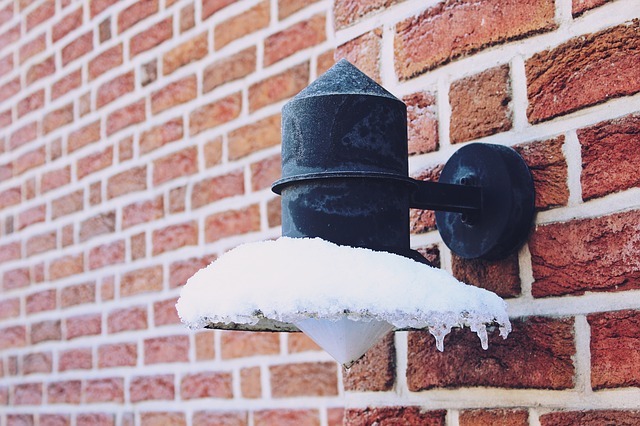 Check out these tips for maintaining your outdoor lighting this winter. Your outdoor lighting, which provides such a lovely ambiance as you enjoy those warm summer nights, may the last thing on your mind in the winter. But it is important to think about your lighting during the colder months and perform necessary maintenance so you can continue to reap the benefits of your landscape lighting system all year long! Check the lenses to make sure the lights aren’t covered with dirt or ice. If they are, the grime could block the light or cause shadows, making your system far less efficient and effective than it should be. If there is dirt or ice on the bulbs or fixture lenses, clean them off gently with a clean, non-abrasive cloth. Whenever you have a snowstorm that results in a considerable amount of snow, you should walk around your property and make sure it hasn’t blocked any of the lights. Even with just a few inches of snow, the wind can blow the snow into drifts around the lighting fixtures that are deep enough to cover the lights. If the lights are covered, they’re not illuminating your property as they should. So make sure that you take time after the snow stops falling to clear off all the lights on your property. The fluctuating temperatures of winter cause a freeze-thaw cycle that can make the wires of your system work their way up to the surface. When you inspect your system, look for any wires that have been exposed and rebury them as soon as you can. If the wires look to be damaged, or if you can see any copper wiring poking through, you will need to get the wires inspected and fixed as soon as possible. Your outdoor lighting system was an investment in your property for the whole year, not just the summer months when you’re outside. The system lights up your property and helps to keep you and your family safe and secure. With the shorter days in winter, your system is even more important in the dark afternoons, so doing periodic inspections to make sure the lights are all working properly should be at the top of your to-do list. For the past ten years, Edwards Lawn and Home, located in Linthicum Heights, MD has been offering premier residential and services to improve your property all year long. The options are endless from a new patio to a backyard fire pit, let the winners of Angie’s List Super Service Award serve you! If you’re interested in finding out more about our services or getting a quote, you can contact us online or give us a call at 443-341-6539. For more information about our services or DIY tips and tricks follow us on Facebook, Twitter, Google+, LinkedIn, YouTube and Houzz. This entry was posted on Friday, February 1st, 2019 at 4:40 pm. Both comments and pings are currently closed.